Will the company become a leader in reforming its workforce, or a case study for how the tech industry’s relentless whiteness destroys innovation, too? Today, McKesson is a prominent activist in the Black Lives Matter movement, due in part to his adept use of Twitter to report live from the scene of protests and to communicate with media, his more than 272,000 followers, and even presidential candidates. McKesson and other users of color have actually done quite a bit to help Twitter succeed. Over the past few years, the company has remained relevant thanks in part to Black Twitter, an informal network of black users whose interaction on the platform broke the news around Ferguson, has been credited with fueling the historic success of television shows like Scandal and Empire, and consistently injects jokes, grievances and issue campaigns from black America into mainstream media. Blacks and Latinos make up around 30 percent of Twitter’s active users, and a recent Pew poll found that both groups use the platform at higher rates than their white peers. But while Twitter the platform is bustling with all types of racial diversity, Twitter the company is alarmingly white. Twitter isn’t alone. Most of the biggest tech companies in Silicon Valley are overwhelmingly white and male. While blacks and Latinos comprise 28 percent of the US workforce, they make up just 6 percent of Twitter’s total US workforce and six percent of Facebook employees. The number drops to five percent at Google. The statistics are startling considering the increasingly important role the technology sector plays in the American economy. Tech firms employed nearly six percent of private sector workers in 2014 and the industry is responsible for a little more than seven percent of the US GDP. When diversity activists began campaigning a few years ago for tech companies to disclose their employee demographics, the truth was revealed. What resulted was a lot of handwringing over the state of diversity in tech and some commitment from companies, including Twitter to do better. Sadly, few companies have moved the needle. But for Twitter, that failure could be its undoing. Worse, for would-be tech workers, if a company with Twitter’s user profile can’t get diversity right, there’s little hope for the sector overall. When Leslie Miley left his job at Twitter last year, the company’s number of black employees fell by two percent. That’s because Miley, as Twitter’s only black engineering manager, was one of just 49 black members of the company’s nearly 3,000-person US team. On his way out, Miley made it clear that the tech company’s resistance to cultivating a more diverse workforce, one representative of the country and its users, was indeed a major factor in his decision to leave. He refused a non-disclosure agreement, along with a sizable severance package, so he could speak out on the tech giant’s internal struggles with racial diversity. In a November post to Medium, Miley detailed his efforts to convince Twitter higher-ups to hire more black engineers, and the pushback he received. Miley says hiring-committee meetings became contentious when he advocated for candidates of color. According to Miley, he and other members of Twitter’s black employee group, Blackbirds, were also kept out of meetings between the company’s executives and diversity advocates like Jesse Jackson and former NAACP head Ben Jealous. A particularly low point of his time at Twitter, Miley wrote, was during a conversation regarding diversity with Alex Roetter, Twitter’s senior vice president of engineering, in which Roetter allegedly told him, “Diversity is important, but we can’t lower the bar.” Roetter has since publicly apologized for the comment. “Not only were we as a company not doing things about diversity, but the employees who did want to take a more active role were denied the resources to actually make anything happen,” says Mark Luckie, another black Twitter employee. Luckie, who worked for three years at Twitter as the manager of the journalism and media department, says he witnessed virtually no executive buy-in for diversity initiatives. Miley argues that the company’s homogeneity is stunting its growth. Twitter has a reported 320 million active users in comparison to Facebook’s 1.5 billion and Instagram’s over 400 million, and user growth at Twitter has been growing slowly. As a result, the company’s value has dropped from $31.4 billion in 2013 to about $20 billion currently. To reverse the trend, experts say Twitter needs to either find more users or increase engagement by the users it has now. Miley was a part of a diverse team at Twitter that he says proves his point. His first project as the engineering manager was to fix Twitter’s “mute” option, a feature that allows users to filter from their timelines unwanted tweets, such as the kind of harassment and personal attacks that many prominent women have experienced on the platform. “Twitter released a version in the past that did not go over well. They were so badly received by critics and the public that they had to be rolled back. No one wanted to touch the project,” says Miley. So he pulled together a team from across the organization, including women and people of color. “Who better to build the feature than people who often experience abuse online?” he asks. The result was a new “mute” option that was roundly praised as a major step by Twitter to address bullying and abuse. Research supports the argument that diversity drives innovation. In fact, a study by the Center for Talent Innovation published in the Harvard Business Review found that employees of firms with diversity are 45 percent more likely to report a growth in market share over the previous year and 70 percent more likely to report that the firm captured a new market. Ironically, a 2015 study published by the MIT Sloan School of Management also found that ideas submitted by Twitter users with more diverse Twitter networks rated higher than those of users with more homogeneous followings. To be sure, Twitter has been engaged in a lot of conversation around diversity, and some modest action. 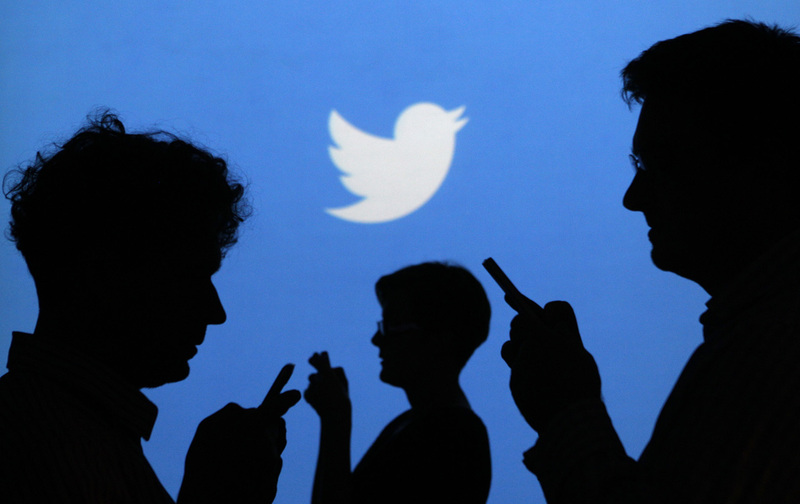 The company released its workforce representation statistics in 2014 in a blog post aptly titled, “Building a Twitter we can be proud of.” The post, by former Twitter Vice President of Diversity and Inclusion Janet Van Huysse, outlined the company’s efforts, which included recruiting at historically black colleges and universities and partnering with organizations that promote diversity in tech. Van Huysse’s 2015 follow-up post added actual diversity goals: increase “underrepresented minorities” to 11 percent of their overall US workforce; nine percent in tech roles and 6 percent in leadership roles. But many believe that the best chance for a change at Twitter is a change of leadership, in particular the return of its co-founder Jack Dorsey, who recently came back to the company to take the helm as CEO after being fired in 2008. It’s rumored that Dorsey is planning to retool Twitter with a focus on diversity all the way up to its eight-member board of directors, which happens to include just one woman and one person of color but six white men, three of whom are named Peter. More than anything, it’s Dorsey’s individual commitment to racial equity that gives some hope. “In my conversations with Jack, he comes across as authentic and authentically interested in Twitter’s black users,” says Miley. After lunch, McKesson sat down for a Q&A session with Dorsey, which the BlackBirds also organized. Twitter parted ways with Janet Van Huysse, its VP of diversity, after six years. She’s been replaced by a white man. The data suggest she’s right. There are plenty of qualified candidates of color, despite assumptions that hiring them would mean “lowering the bar.” Eighteen percent of all computer-science graduates in 2012 were black or Latino, according to the National Center for Education Statistics. Further, 11 percent of all recipients of bachelor’s degrees in computer science or computer engineering from prestigious research universities are black or Latino, according to data from the Computing Research Association. Still, those groups constitute, on average, just 5 percent of technology workers in Silicon Valley. Kapor Klein, for one, says she’s cautiously optimistic that big tech companies like Twitter will make much-needed changes, but believes that ultimately most of the progress in the industry will come from start-ups and smaller, scrappier companies. One company that has taken an aggressive approach to diversity is Pandora Media, the folks behind the music streaming service. The Oakland-based company valued at $4 billion puts up slightly more representative racial diversity numbers than Twitter, but leads the tech industry in gender diversity with a near 50-50 split between male and female staff. Without some drastic intervention, it seems diversity will remain just a buzzword at companies like Twitter. When it comes down to brass tacks, the reality is that in order to make any significant strides in increasing the racial diversity of its workforce, Twitter would have to spend money to grow the staff, with a focus on hiring people of color, or let some of its white employees go. Neither of those options seems likely at this point. At the end of the year, Twitter parted ways with Janet Van Huysse, its VP of diversity, after six years with the company. * She’s been replaced by Jeffrey Siminoff, a white man. Correction: A previous version of this story stated incorrectly that Janet Van Huysee had been VP of diversity for six years. Rather, that is the term she had been at Twitter. Donovan X. RamseyTwitterDonovan X. Ramsey is a multimedia journalist whose work puts an emphasis on race and class. Donovan has written for The New York Times, The Atlantic, The New Republic and GQ, among other outlets. He's currently a Demos Emerging Voices Fellow.